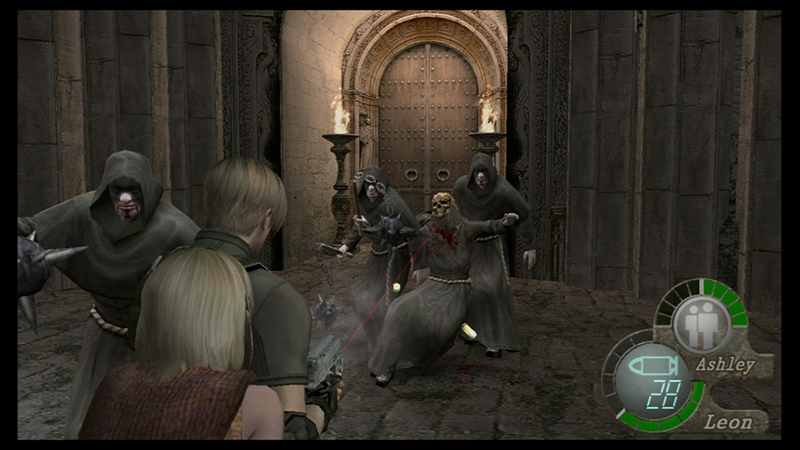 RE4 isn't a particularly scary game, but it has its moments, and they're sprinkled far enough apart to make each one exponentially more enjoyable when you encounter it. If you're not necessarily a fan of the series or haven't yet played Resident Evil 4, this is arguably the best the franchise has to offer, and the slick new look brings it closer to what we've come to expect visually from games this generation. Aside from trophy support and online leaderboards, no new features were added. There's no Move support, for instance, which is curious considering it's already been re-released for the Wii. Unless you absolutely need to have a moderate-looking HD version, you'd be better off with the Wii iteration because it includes multiple control setups and all the same extra features. 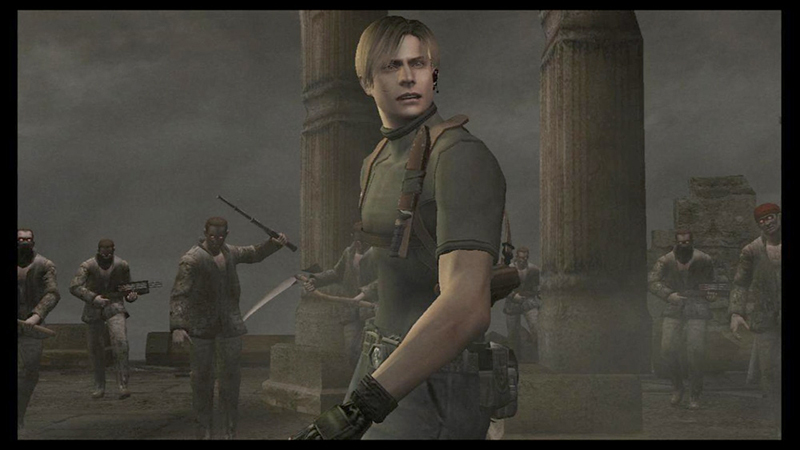 Ironically, the non-HD upscaling of Resident Evil 4 HD easily represents the worst part of this otherwise excellent port. But although this process didn't do any favors for these GameCube-era graphics, the game itself remains as fun and tight as ever. 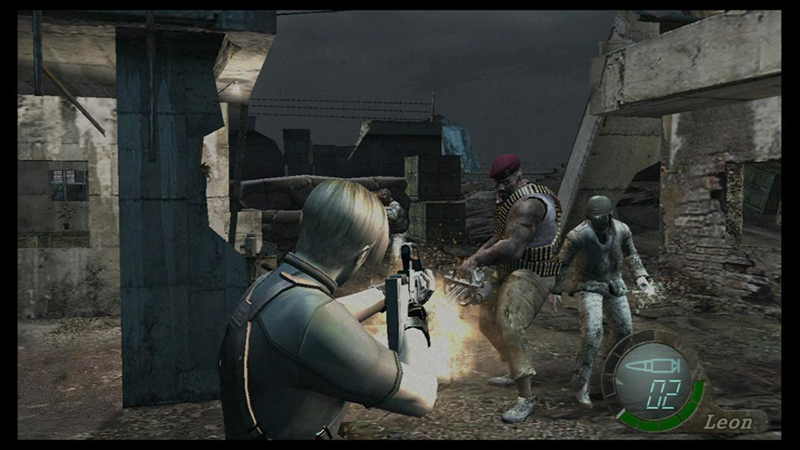 With excellent controls, memorable baddies, and a cheesy story worthy of the Resident Evil branding, gamers should take it upon themselves to play this at some point if they haven't already. If you already own Resident Evil 4 on the Wii, there is absolutely no reason to buy it here other than the HD-ness, which did nothing for me. Fans of HD-ness should adjust their own levels of interest accordingly. Additionally, if you only had the PS2 or the GameCube versions before, this is a nice way to get the extra content of the PS2 port along with the superior graphics of the GameCube original. Still, $20 is pretty steep for a digital copy of a game this old. Sure, there are a few flaws dotted throughout, and the HD revamp isn’t quite as polished as it should have been, but these issues are pretty inconsequential in the long run. At the end of the day, what you’ve got here is unequivocally one of the greatest action-horror outings of all time, and an absolute must-have for Resi fans and newcomers alike. When I began replaying Resident Evil 4 HD for this review I thought I'd enjoy it again, but I'd clearly forgotten a lot of the really cool bits. While the opening chapter proved to be a lesson in re-learning how to play, once it all clicked again it became apparent just how much I love Capcom's highly-celebrated game. For me it's easily the best Resident Evil title, and an absolute must-buy for anyone interested in action or horror. 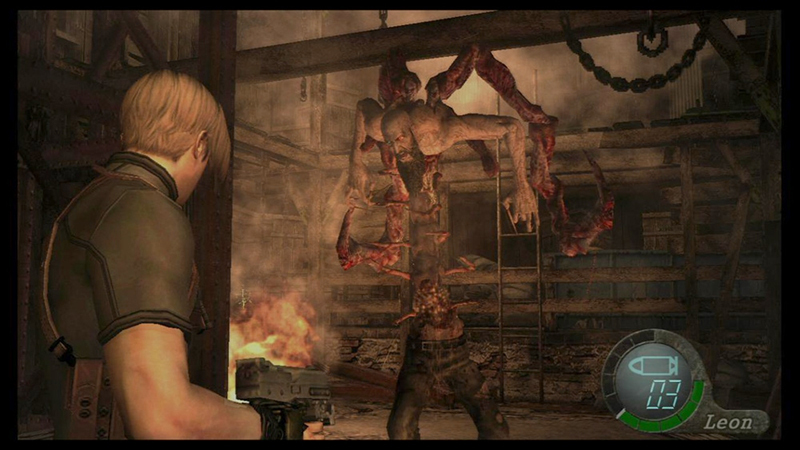 Resident Evil 4 remains one of the greats. The thrill of Resident Evil 4’s gonzo moments lives on in full force thanks to updated visuals. Conquering a mutated sea creature on a tiny wooden boat still gets the blood pumping, especially without the fuzzy haze of last-gen graphics. It’s still terrifying to flee from frenzied mobs only to be greeted head-on (or should I say head-off?) by a chainsaw-wielding maniac. Though the textures and character models are much sharper than previous versions, some may find the lack of detail and muted colors dull. 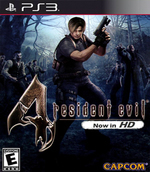 Resident Evil 4 is a brilliant game, but that's exactly why Resident Evil 4 HD is such a disappointment. This is no definitive version or director's cut (wouldn't that be something), but a criminally half-baked attempt to winkle a little extra cash from the still-beating heart of a classic. Esta edición HD de Resident Evil 4 conserva todas las cualidades del original, y son muchas. El argumento engancha, la fórmula de juego se hace de lo más entretenida, el título guarda bastantes sorpresas bajo la manga y técnicamente sigue mostrando una apariencia bastante notable a pesar del tiempo transcurrido… y del salto efectuado a las HD, claro. 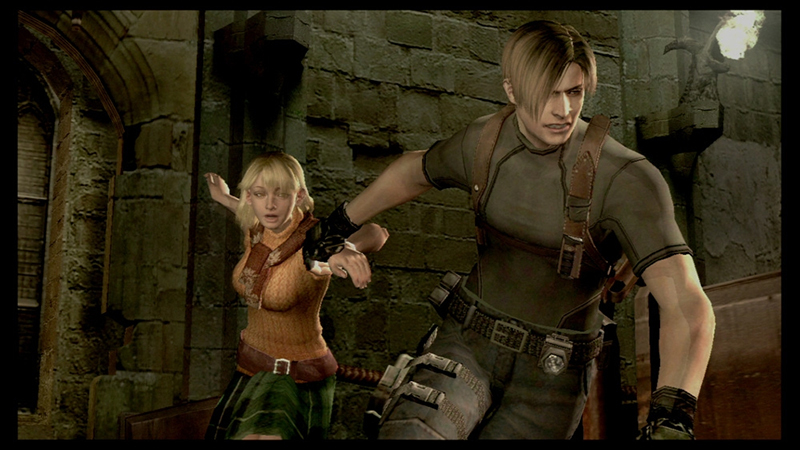 Comme pour l'ensemble des adaptations haute définition, Resident Evil 4 HD n'a que peu d'intérêt pour celles et ceux l'ayant déjà terminé sur PS2, GameCube ou Wii. Si vous ne faites pas partie de cette catégorie de chanceux, vous pouvez par contre vous jeter sur ce titre qui n'a rien perdu de sa superbe malgré une adaptation un peu paresseuse. Pour autant, qu'on ne s'y trompe pas, si Capcom a assuré le minimum syndical tout en proposant le jeu à un prix un peu élevé.